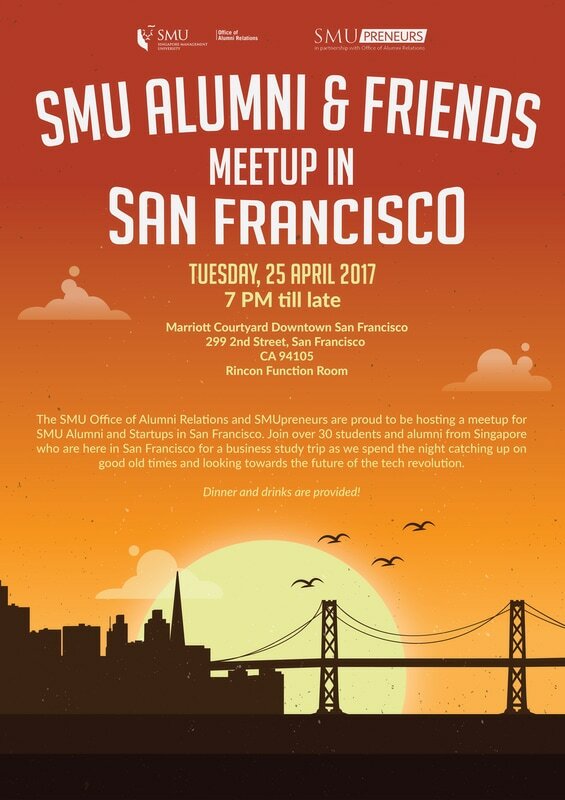 The SMU Office of Alumni Relations and SMUpreneurs are proud to be hosting a meetup for SMU Alumni and Startups in San Francisco. Join over 30 students and alumni from Singapore who are here in San Francisco for a business study trip as we spend the night catching up on good old times and looking towards the future of the tech revolution. We welcome all Alumni and their friends to RSVP for this event.